Here at Cabinets Plus, we pride ourselves on creating luxury cabinets to upgrade the feel of any home. We offer a large selection of quality wood types including: Beech, Clear Alder, Knotty Alder, Maple, Oak, Rustic Cherry and Rustic Hickory. We not only design world class kitchen cabinets, but also specialize in bathrooms, entertainment centers, libraries, bars and many more! Contact us today to get started on the development of your dream, custom cabinet design! Have a vision for new custom cabinets? Contact us today to learn more about how we can turn your vision into a reality. We can create any custom design to fit the needs of your home! With our team of cabinet engineers, you can rest assured that the construction of your new custom cabinets will transform your home. Using only the highest quality wood, and ultimate precision, we will begin the development of your custom cabinets. Say hello to your stunning, new, custom cabinets! 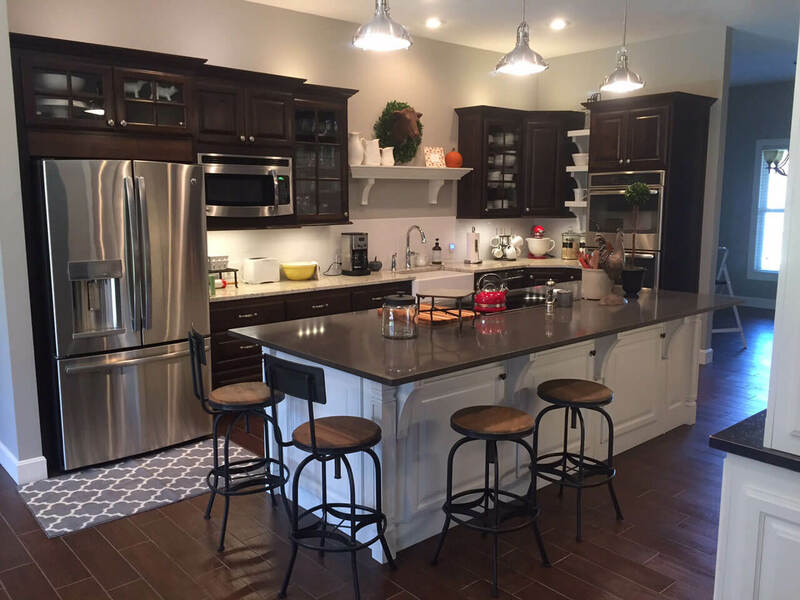 At Cabinets Plus, our clients’ satisfaction is our number one priority!